If your tow vehicle is a lightweight SUV or other smaller car, you can still enjoy camping and traveling without resorting to a tent. It’s time to stop sleeping on the ground. A teardrop trailer is the perfect 2-person RV that will enable you to sleep comfortably on a regular mattress, off the ground and protected from the elements. Best of all, at a weight of less than 1,000 pounds, almost any vehicle can tow a teardrop trailer! You could go to an RV dealer, and buy a teardrop trailer that’s all ready to go. But what if your budget is rather small? The price tag for such an RV may be more than you’re willing to spend. Another alternative is to build your own teardrop trailer from a kit or plans. You can reduce the cost of a teardrop trailer by 75% or more. It can be a good father/child project for the winter months. You can add or subtract as many bells and whistles as you like. You don’t have to be a rocket scientist to figure it out. Oh, and did I mention you can reduce the cost by 75%… or more?! I saw the neatest little RV this summer. It was a teardrop trailer that the owners had built themselves. Overall, the advantages of having such a small camper are obvious: efficiency, maneuverability, and they are so darn cost-effective. Plus, teardrop trailers are great for winter camping! 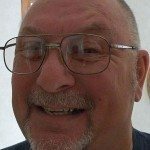 Most of what you’ll need is available at your local home center, and any specialty parts can be ordered on the Internet. If a teardrop trailer seems too small for your needs, you can also order plans for building almost any style of RV or camper. You’re only limited by your own construction skills. 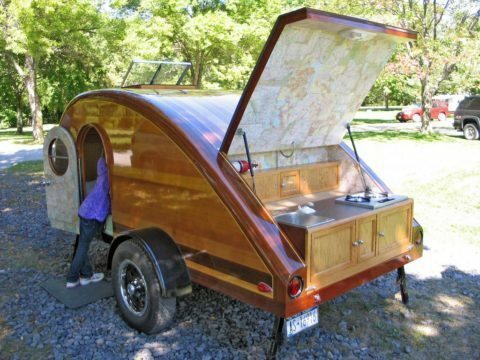 Here’s a great collection of Teardrop Trailer plans and DIY project photos.